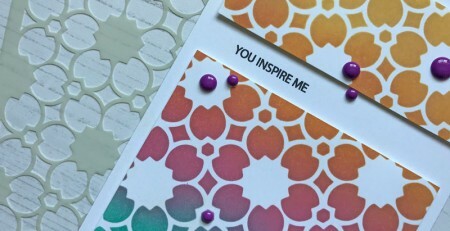 I’m back again today with my guest designer and the design team to show you LOTS of inspiration! 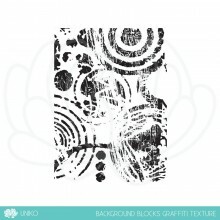 This time we are introducing a new Background Blocks Pinstripe & Yes, You clear stamps. 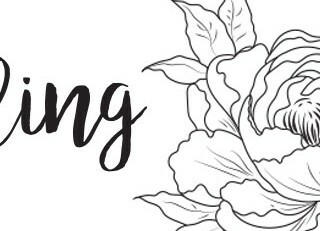 Hopefully you have hopped on over from the start HERE where I have introduced these 2 new products a little. 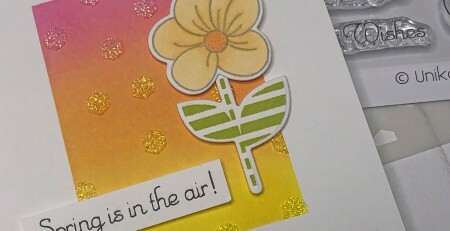 The colours for the card were again inspired by this weeks CAS Colours & Sketches challenge seen HERE and below. 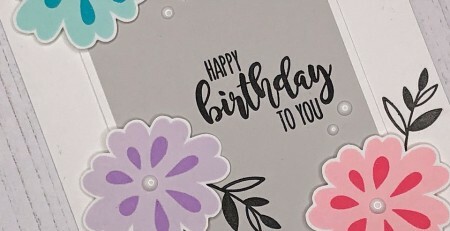 I rather like this colour combo, as I am quite a sucker for Grey! 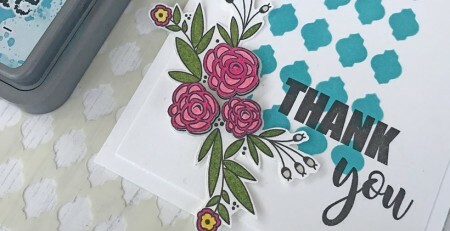 For my next card I decided to use the flowers & leaves from You Are, Yes You to embellish the corners of a die cut sentiment window frame. 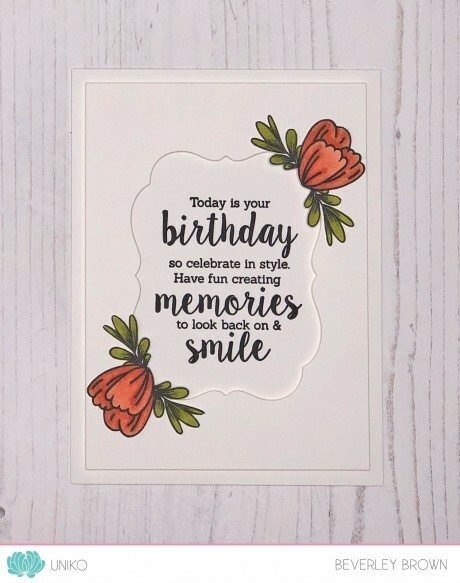 The sentiment is from Birthday Wishes, which was introduced on Day 2 and it fits perfectly inside the Papertrey Ink Mat Stack 4. 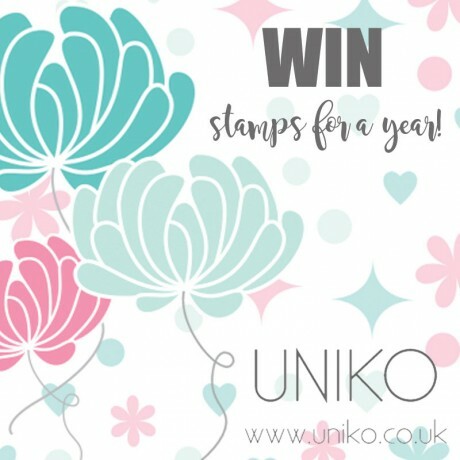 The flowers and leaves are coloured with Stampin’ Up! 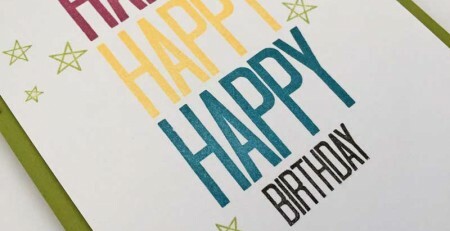 stamping blends, fussy cut out and adhered to the card with double sided tape. Oh my! This was so much fun to do! I stamped and masked the leaf as I went round to create a lovely leaf wreath. 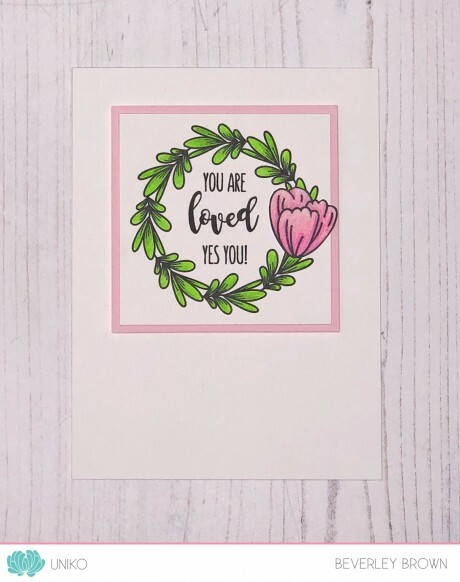 The sentiment is from You Are, Yes You and I stamped, fussy cut and coloured the flower from the set to add to where the wreath began and ended to make it look neat. 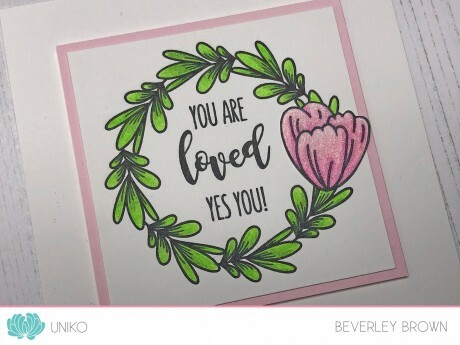 Three fab cards. 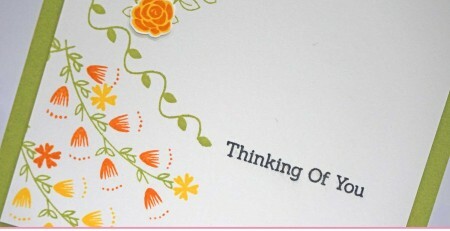 Absolutely love the pinstripe and the little flower and sentiments are so versatile. 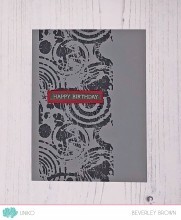 The pinstripe is such a versatile stamp, can see it quickly becoming an essential! 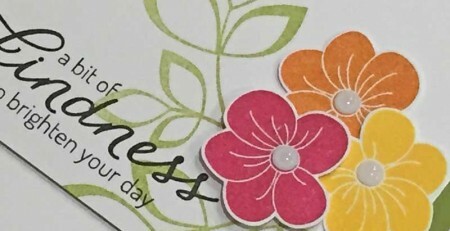 Love how you’ve combined it with the freebie – generous lady – and the wreath of the leaves is a brilliant idea . 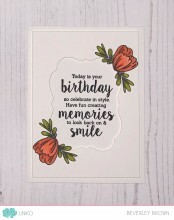 Stunning cards made with beautiful stamps, which have gone on my wish list. 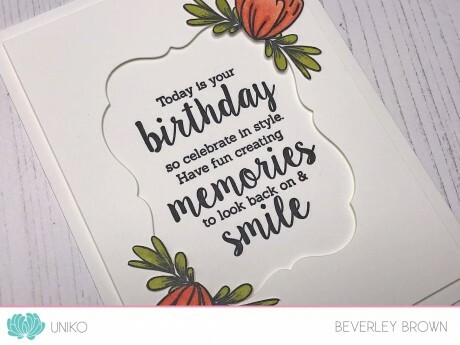 Wow, Bev – you are rocking these colors! All 3 of these are so pretty! Thanks for playing along with us at CC&S! Great looking release! 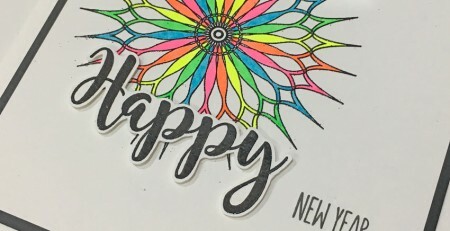 So happy you liked the colors I picked and were able to play along with us again. 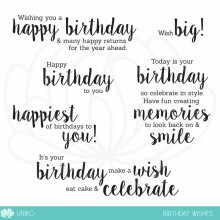 Lovely collection of cards. Have to admit that the first is my favourite because of the stripes. 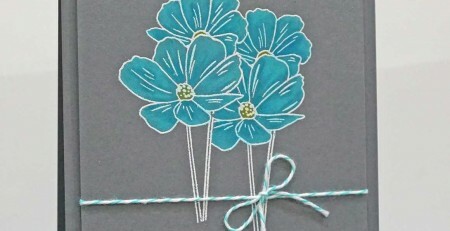 I love the textures on flower through stripes, amazing samples! 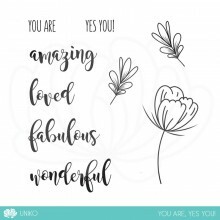 Uniko Sponsors Passion For ProMarkers!